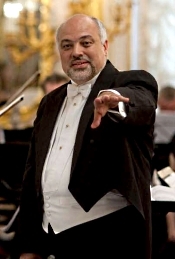 Constantine Orbelian, Moscow Chamber Orchestra. Delos DE 3284. Sir Thomas Beecham might have called these selections "lollipops." This 2001 release calls them "Showpieces & Encores," but I think they're closer to simple songs and encores--short, two-to-seven minute works designed to satisfy an audience's demand for a little something and maybe leaving them wanting just a little more. 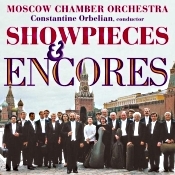 "Showpieces" implies to me virtuosic spectacle, and these selections seem more subdued, more low-key, than that. There are nineteen tracks in all, some familiar, some not, many featuring solo players on violin, viola, cello, or flute, and five "Armenian Folk Songs" getting the bulk of the love. The Moscow Chamber Orchestra, about twenty players and their leader, American-born Constantine Orbelian, as always perform with elegance and refinement, qualities that show up admirably in things like Tchaikovsky's Waltz from the Serenade for Strings, Gershwin's "Summertime," Rachmaninov's Vocalise, and, especially, Frank Bridge's Valse-Intermezzo. Still, I wish Orbelian and his group had let loose a little more, put a little additional fire into some of the music. We see glimmers of lively animation in Shostakovich's Spanish Dance, but most often Orbelian is content to demonstrate to us the beauty and grace of the compositions. Fair enough. I also enjoyed his scattering among the more popular choices a few lesser-known Russian favorites like Sinisalo's "Three Russian Folk Songs" and other tunes like "The Moon Is Shining" and "The Rush Light." The performances appear more than just polished, however; they display a sense of loving care and genuine affection that is hard to resist. 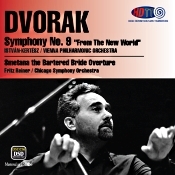 The cover picture shows the orchestra in Moscow, but, in fact, Delos made the recording at Skywalker Ranch, in the sound building at what was then George Lucas's place (now Disney's) in Marin County, California. It's good sound, my only quibbles being that there is a touch of brightness from time to time and the occasional soloist seems a mite too close compared to the rest of the players. Otherwise, there is good detail; a soft, warm, natural ambiance; and a moderate depth to the sonics. It's a lovely, if perhaps redundant, collection from an impressive group of musicians. Also, Lady Godiva Overture; Eternal Longing. 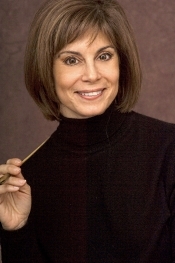 JoAnn Falletta, Buffalo Philharmonic Orchestra. Naxos 8.573683. Possibly not a lot of classical-music fans in America recognize the name of Vitezslav Novak, but in his native Czechoslovakia it might be different. Novak (1870-1949) was a Czech composer whose career pretty much paralleled that of German composer and conductor Richard Strauss. And to an extent, Novak's music even seems partly influenced by the tone poems of his more-famous contemporary. As both men were born in the latter part of the Romantic era of classical music making and lived well into the modern age, one can find elements of both styles in the composers' works. 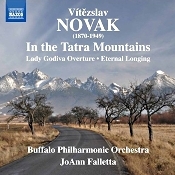 On the present disc, JoAnn Falletta leads her Buffalo Philharmonic in three brief descriptive pieces by Novak: In the Tatra Mountains, the Lady Godiva Overture, and Eternal Longing. If there's any drawback to the program, it's that despite including three pieces, it's rather short on quantity, the disc containing only about fifty-two minutes of music. But it's quality that counts, and Ms. Falletta does a fine job illuminating the color, excitement, solemnity, and nationalism of the works involved. First up is In the Tatra Mountains, a symphonic poem from 1902. As you might expect from the title, it is a musical representation of a mountain range Novak knew well. It's largely a sweet, bucolic piece, caressed lovingly by Ms. Falletta and her Buffalo ensemble. When it builds energy in the middle section (the inevitable thunder storm), Falletta is up to the task yet doesn't overplay her hand. The increase in tension and conflict comes smoothly and organically, like the mountains themselves. She handles the music deftly, poetically. Next is the Lady Godiva Overture from 1907. Written in only two days, it became nevertheless one of Novak's most-popular pieces, dramatic and theatrical in its presentation. In this latter regard, it stands in stark contrast to the lyrical flow of the preceding work, the overture far more active and, frankly, more mundane. Nevertheless, Ms. Falletta invests it with a histrionic urgency appropriate to its Romantic leanings. The final piece is Eternal Longing, written in 1905 and based on a poem by Danish author of fairy tales Hans Christian Andersen and a setting by Jaroslav Vrchlicky. This is the most evocative of Novak's music on the disc, conjuring up dark, haunting landscapes and seascapes of mystery and suspense. Again, Falletta and her players adjust well to the composer's demands and offer up a lustrous account of this sometimes overlooked score. Producer, engineer, and editor Tim Handley made the recording at Kleinhans Music Hall, Buffalo, New York in June 2016. The sound seems typical of most good Naxos products. It's slightly soft and warmly ambient without being too mushy or reverberant. It's fairly transparent and well detailed without being too bright, too forward, or too very edgy. The sound spreads out widely across the soundstage without leaving holes in the middle. It's also dynamic without knocking a listener out of his seat. It's realistic and pleasant without calling attention to itself. While there is some harshness to the upper frequencies in louder passages, it's not enough to distract one from the music making. One caution: The opening piece, In the Tatra Mountains, begins so softly it may tempt one to turn up the volume. I advise not doing so. It will get louder soon enough, and one may find oneself having to readjust the level before long. Saratoga Performing Arts Center Unveils "SPAC on Stage"
Saratoga Performing Arts Center is poised to present a wholly transformed audience experience with the August launch of an innovative new programming series, "SPAC on Stage." With a seating capacity of just 300, the series features a unique format that challenges concert hall convention by placing the entire audience onstage with the artists. The series will take place on four consecutive Monday evenings – August 7, 14, 21 and 28 – showcasing acclaimed ensembles whose artistry crosses both classical and contemporary genres, including the Hot Sardines, Time for Three, Black Violin, and Tiempo Libre. "The success stories of the dynamic groups we've chosen for SPAC on Stage underscore the importance of cross-genre thinking in the performing arts. Today's audiences are craving fresh artistic experiences, not only in content, but also in presentation," said Elizabeth Sobol, President and CEO of SPAC. "In developing SPAC on Stage, our goal was to meet both of these demands. Positioning audiences onstage for this series will offer them a unique, visceral experience – a connection with the performance unlike anything they have experienced previously." "We are enthusiastic about presenting a lineup that is artistically vibrant, comprised of musicians who are pushing the boundaries of classical into new directions," she continued. "Black Violin typifies this approach with their stereotype-challenging presence across classical, hip-hop, rock and R&B genres. That no-holds-barred creative energy is also at the core of the other three extraordinary acts on the schedule – the Hot Sardines, Time for Three. and Tiempo Libre." "With every new season, we have the opportunity to add to SPAC's remarkable story. With SPAC on Stage joining an already exceptional summer lineup, 2017 may be one of the most interesting, exciting chapters yet," she concluded. Tickets to SPAC on Stage will be $50 or $40, depending on location, and available on spac.org. The Music Institute of Chicago, one of the nation's oldest, largest and most distinguished community music schools, welcomed nearly 300 guests to the 87th Anniversary Gala on Monday, May 15 at the Four Seasons Hotel, Chicago. The event raised $800,000 from a combination of table sponsorships, ticket sales, and outright contributions. The evening included a cocktail reception, followed by an elegant dinner and awards presentation. Musical performances took place throughout the evening, representing every area of the Music Institute. Highlights included young musicians from the Community Music School; award-winning students from the renowned Academy, a training center for gifted pre-college musicians; and young students from the Music Institute ArtsLink outreach programs, including performances by students from Joseph Lovett Elementary School and Third Coast Suzuki Strings, a violin program on the Northwest Side of Chicago operated in collaboration with the McCormick-Tribune YMCA. Guests enjoyed a welcome greeting recorded by renowned opera singer, soprano, and Gala Honorary Chair Renée Fleming. Not once but twice, Dushkin Award recipient Rachel Barton Pine graciously surprised guests with performances alongside Music Institute students, performing Frideric Handel's Bourrée in G Major at the beginning of the evening and closing the event with Vittorio Monti's Czárdás. Philharmonia Baroque Orchestra is pleased to announce our new "Choose Your Own" subscription packages for new and lapsed subscribers! Choose any 3, 4 or 5 regular season concerts and get all the benefits of subscribing including free exchanges, discounts on additional tickets, and -- with this package only -- 50% off tickets to Handel's Messiah. The wonderul 2017/18 season continues to develop. We've just added rising star mezzo-soprano Avery Amereau to our "Beethoven Unleashed" program next April. The New York Times calls Avery "a rarity in music." We'll have more exciting announcements over the summer as well. Take advantage of this Choose Your Own subscription offer today and grab those extra Messiah tickets at 50% off before the discount expires on June 15, 2017. And bring the entire family. There's no limit to the number of discounted Messiah tickets you can add with this offer. For complete information, visit https://philharmonia.org/2017-2018-season/choose-your-own/ or call (415) 295-1900 | Mon - Fri, 10am - 5pm. Two performances: 2:00 p.m. and 5:30 p.m.
Musica Viva NY--a chamber choir under the artistic direction of Dr. Alejandro Hernandez-Valdez--celebrates its 40th anniversary throughout the 2017-18 season, continuing its commitment to performing beloved as well as rarely heard works from various periods of musical history and from diverse cultures worldwide together with the Aeolus Quartet, quartet in residence. 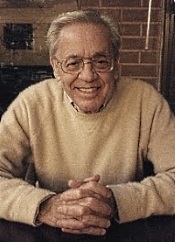 Highlights of the season include Orff's Carmina Burana, a concert featuring pianist and composer Seymour Bernstein, an appearance by Musica Viva NY's founder Walter Klauss, a performance commemorating the life and legacy of Dr. Martin Luther King, Jr. featuring Alice Parker; and the world premiere of a work by Elena Ruehr, commissioned by Musica Viva NY. All performances take place at All Souls Church (80th Street and Lexington Avenue). Musica Viva NY's 40th anniversary season kicks off on Sunday, November 12, 2017 at 5:00 p.m., with a program entitled "The Wheel and the Sphere" featuring Carl Orff's iconic Carmina Burana and Guillaume Connesson's Sphaera together with the Allen-Stevenson School Chorus. These concerts will be followed by "Voices in Motion: Exploring Sound and Space" on Sunday, February 25, 2018 at 5:00 p.m.
On Sunday, April 8, 2018 at 5:00 p.m., Musica Viva NY presents "Infinite Hope," a concert featuring renowned conductor, composer, and writer Alice Parker who joins Artistic Director Alejandro Hernandez-Valdez, the Musica Viva NY choir, and the Aeolus Quartet for her own A Sermon from the Mountain: Martin Luther King; spirituals arranged by Moses Hogan and Alice Parker; and Antonín Dvorák's String Quartet in F Major, Op. 96, "American." Closing its 40th anniversary season, Musica Viva NY presents "Sunrise in the City" on Sunday, May 20, 2018 at 5:00 p.m. featuring a newly- commissioned work by Boston-based composer, Elena Ruehr, together with Ola Gjeilo's Sunrise Mass, and works by Gustav Mahler and Maarten Spruijt. In addition to the traditional four-concert Sunday evening series at All Souls Church, Musica Viva NY presents one additional benefit concert on Sunday, January 21, 2018 at 5:00 p.m. "Reintroducing Seymour." Season Subscriptions, priced at $130, and single tickets, priced at $40, for the four-concert series at All Souls Church are available by visiting http://musicaviva.org/tickets/. Single tickets are also available at the door on the evening of the concert. Silver Wrapper and Star Events have announced new additions to the 21st Annual Taste of Randolph Festival on Friday-Sunday, June 16-18th, 2017. This iconic celebration features three stages with a variety of talent, including a star-studded list of headliners on the Denver Live on the Rocks Stage, featuring the jaw-dropping scale replica of Red Rocks Amphitheater. The three day event benefits the West Loop Community Organization, which has been working since 1991 to support local businesses and economic development in the West Loop neighborhood. Experience the Taste of Randolph in style and comfort, with amenities such as reserved viewing stands and lounge seating, private restroom trailers, discounted beer and more! Buy your tickets before they are gone! VIP options are available for all 3 days, or separately for Friday, Saturday and Sunday. as an exclusive recording artist. Internationally acclaimed pianist Moye Chen has been signed to Universal Music on the Decca Classics label. Mr. Chen has won numerous prizes from world-renowned competitions such as Sydney and Cincinnati. 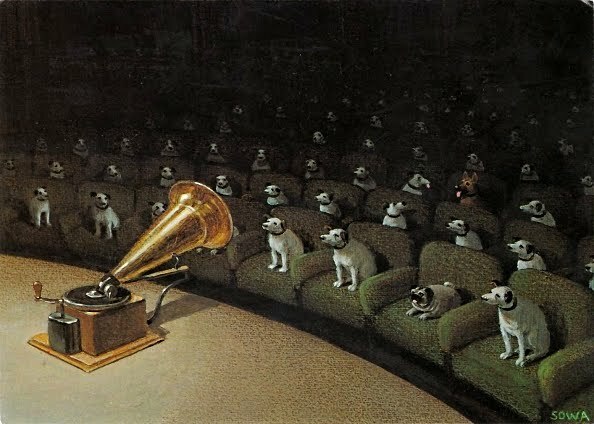 His bravura technique caught the eyes and ears of the judges, while his warm stage persona proved enormously popular with the audiences as well. Miami Music Festival (MFF), an intensive training program for the next generation of classical musicians, announces the lineup for the 2017 season from June 6 through July 30, 2017 at various venues in Miami. In its fourth season, MMF will host young artists from around the world selected from top conservatories and universities. For the full schedule, to purchase tickets and more information on Miami Music Festival, please visit www.miamimusicfestival.com. Our upcoming Coro II project is cause for many celebrations. We celebrate our return to Hamburg's iconic new concert hall, the Elbphilharmonie, with a celebrated programme that we debuted recently with Artistic Partner Teodor Currentzis and his MusicAeterna Choir. We join Festival de Saint-Denis's 50th anniversary celebrations with a three-concert residency – which in turn celebrates our 20th anniversary – beginning with a concert on this tour. In many ways, this edition of the MCO newsletter is also celebratory: of the exceptional work and character of our Artistic Partner Teodor Currentzis; a new member joining our ranks; the longstanding partnership developed with our Dortmund partner class; a successful recent tour of many firsts; and our venture into the realm of the Instagram takeover. 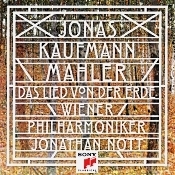 For complete information about the Mahler Chamber Orchestra, visit http://mahlerchamber.com/. Various composers and artists. Virgin 7243 5 67734 2 4 (2-disc set). Think of the most dreamy, most tranquil, most serene musical works you can imagine, put them all together in a two-and-half-hour package, and you'll get some idea of what this album is about. Back in 2001, compilation producer Robert Laporta (currently of MSR Records) collected twenty-seven individual items here from the Virgin Records catalogue, ranging from two to ten minutes each for a two-disc Virgin set. The result is, well, dreamy. There are too many things on the set to name individually, but let me give you some idea of the contents by naming just a few. The contents include Mahler's Adagietto from Symphony No. 5; Satie's Gymnopedies Nos. 1 and 3; Faure's Pavane; Debussy's Prelude to the Afternoon of a Faun; Elgar's Serenade for Strings; Barber's Adagio for Strings; Sibelius's Swan of Tuonela; Vaughan Williams's Fantasia on "Greensleeves"; Ravel's Pavane pour une infante defunte; Massenet's Meditation; Rachmaninov's Vocalise, and a ton more. Some of the conductors involved are Jukka-Pekka Saraste, Paul Tortelier, Sir Charles Mackerras, Christoph Eschenbach, Jesus Lopez-Cobos, Andrew Litton; Richard Hickox, Paavo Jarvi. Ensembles include the English Chamber Orchestra, the Houston Symphony, the Royal Philharmonic, the Scottish Chamber Orchestra, the Northern Sinfonia, the Royal Liverpool Philharmonic, and a host of others. 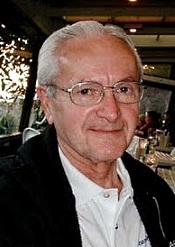 Laporta drew the recordings from the years 1988-1995, and all of them have a homogeneity of sound that complements one another. Mostly, it's smooth and natural, wide spread, and not very dynamic (because it doesn't need to be). I have no idea if the Virgin engineers altered the audio of these pieces in any way for them to sound so similar, but the results, especially with the works themselves played almost without breaks between them, appear to flow like one continuous stream. This may be the ultimate in music for relaxation. What's more, it's great music well played, too, not New Age stuff unworthy of actually paying attention to. So, I can easily recommend the set, even though you've probably got every piece somewhere else in your collection. The Bravo! Vail Music Festival announces its 30th season, which runs from June 22 to August 4, 2017. The season features the return of its longtime resident ensembles the Dallas Symphony Orchestra, The Philadelphia Orchestra, and the New York Philharmonic as well as the second-annual residency of the London-based chamber orchestra the Academy of St Martin in the Fields, led by violinist and Music Director Joshua Bell. The 30th season celebration includes five world premieres signifying the launch of a New Works Project, and seven string quartets performing in its various chamber music programs. Bravo! Vail's historic 30th season also features Jaap van Zweden and Alan Gilbert in their final Bravo! Vail concerts as music directors of the Dallas Symphony Orchestra and New York Philharmonic, respectively. For tickets, please visit bravovail.org, or call the Box Office at 877.812.5700. The New York Times calls her "a rarity in music." Joyce DiDonato describes her voice as "like velvet, caramel chocolate." Maestro Thomas Crawford of the American Classical Orchestra proclaims, "the voice is just ravishing." And now Bay Area audiences will have a chance to hear it for themselves when up-and-coming contralto Avery Amereau performs with PBO in two separate programs next season. Avery is finishing her studies at the Juilliard School where she completed a master's degree and has made notable appearances onstage this past season including her Metropolitan Opera debut as the madrigal singer in Manon Lescaut, the title role of Carmen with Opera Columbus, and a return to Glyndebourne Festival Opera for her debut with the Festival in Ariadne auf Naxos. Avery's unique voice is noted as being "contralto in vocal color and range" by vocal guru Matthew Epstein. But she considers herself to be an alto and bills herself as a mezzo-soprano. She'll be singing the mezzo roles with us next season. Avery will first appear along with composers Sally Beamish and Caroline Shaw in a PBO "SESSIONS: New Music for Old Instruments," that will focus on female composers and the female musicians who bring their music to life. Then she'll join us again in April for the "Beethoven Unleashed" program where she'll perform in Beethoven's Mass in C major and his "Choral Fantasy." The Orion Ensemble is concluding its season with a program featuring two works by Jean Francaix and a work by Brahms. Preceding the May 24 performance at the PianoForte Studios in downtown Chicago, Daniela Broderick will give a talk on "The young and the mature Jean Françaix - a comparison of his style in two chamber works 57 years apart." The Orion Ensemble's concert program "Wit and Passion" takes place Sunday, May 21 at 7 p.m. at First Baptist Church of Geneva, 2300 South Street in Geneva; Wednesday, May 24, with CYSO quintet Zephyrus, at 7:30 p.m. at the PianoForte Studios, 1335 S. Michigan Avenue in Chicago; and Sunday, May 28 at 7:30 p.m. at Music Institute of Chicago's Nichols Concert Hall, 1490 Chicago Avenue in Evanston, Illinois. Single tickets are $26, $23 for seniors and $10 for students; admission is free for children 12 and younger. For tickets or more information, call 630-628-9591 or visit orionensemble.org. Just a note of thanks to far-away family & friends for your support of FAYM! Our kids and teachers in the "Violins for Kids" program are doing well and will be showing off this Saturday with their 10th Annual Spring Concert. Then, in June, our youngsters will come together for an intensive week of classes and performances in FAYM's Summer Camp. If we could....we'd come to your home and serenade you for helping to make it all possible! Just know that you are very much in our thoughts and that we appreciate all you have done to enrich the lives of our FAYMsters! On May 20, 2017, the National YoungArts Foundation (YoungArts) will present Little Boy Lost: One Child's Story of Life Behind Bars, a collaborative work that amplifies the voices of incarcerated youth through the story of 20-year-old Miami native Damien Duncan. The performance is part of YoungArts' celebrated Outside the Box series, which engages the community with free, multidisciplinary performances that take place outside of the iconic Jewel Box on the YoungArts Plaza. Created by composer and performer Daniel Bernard Roumain and journalist Lisa Armstrong, Little Boy Lost employs classical music, spoken word, rap and film to address the issue of youth incarceration and the prison industrial complex through the eyes of one young adult. At the center of the performance is a 40-minute documentary by Armstrong with live scoring by Roumain, cinematography by Nilo Batle (2017 YoungArts Winner in Cinematic Arts), and spoken word by Simbaa Gordon (2016 YoungArts Winner in Writing). Little Boy Lost follows a day in the life of Damien, who has recently been released from state prison, and has since become a role model in his local community by volunteering as an active mentor for Empowered Youth, a non-profit that helps at-risk inner city teens in Dade-County. Through transmedia, Roumain unpacks the cultural and socio-economic context of Damien's experience, and highlights what could have been through character juxtaposition with YoungArts alumnus Gordon. Each year the Festival Mosaic returns to beloved venues like Mission San Luis Obispo de Tolosa, Serra Chapel in Shandon, See Canyon in Avila Beach, and other spaces that showcase the beauty of the Central Coast. For 2017, we're excited to partner with some new venues. We hope you join us! Festival Mozaic is delighted to partner with the History Center of San Luis Obispo County to present "The French Connection," a brunch and Notable Encounter on Sunday, July 30, featuring music of Maurice Ravel for flute, viola and harp. The Dallidet Adobe and Gardens were the private home of Pierre Hypolite Dallidet. Pierre and his family were well educated, traveled, and interested in the arts and natural sciences. Pierre Sr. owned many properties, mining claims, farm and ranch lands, but is remembered most for starting the first commercial winery on the central coast. Only a few tickets remain for this brunch event on the final day of our 2017 Festival! Naxos was launched in 1987 as a budget classical CD label, offering CDs at the price of an LP at a time when CDs cost about three times more than LPs. The focus was on recording the standard repertoire in state-of-the-art digital sound with outstanding, if unknown artists and orchestras, initially mainly from Eastern Europe. From these humble beginnings, Naxos developed into one of the world's leading classical labels, recording a wide range of repertoire with artists and orchestras from more than 30 countries. 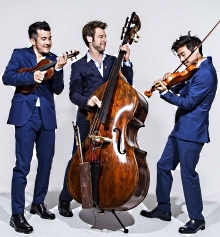 The Naxos Music Group will celebrate the 30th anniversary of the launch of Naxos with events in Munich and London, including a gala concert on May 16 at the Court Chapel in Munich featuring Naxos artists Boris Giltburg, Tianwa Yang and Gabriel Schwabe. Today, at the gala event in Munich, Klaus Heymann, the founder of Naxos, will receive the Special Achievement Award of the International Classical Music Awards (ICMA) awarded to him on April 1, 2017. Says ICMA President Remy Franck: "Klaus Heymann has changed the recording industry and without him it would never have achieved the dynamic it has today, despite all the problems which might exist. Due to his strong visions, his incredible efficiency and has profound love for the music he became the industry's major player." Kristine Opolais stars in her first Met performances of her breakthrough role, the title character in Antonin Dvorak's Rusalka, in a critically acclaimed new staging, directed by Mary Zimmerman and conducted by Mark Elder, on "Great Performances at the Met" Sunday, June 18 at 12 p.m. on PBS (check local listings). This haunting love story also stars Jamie Barton as the witch Jezibaba, with Katarina Dalayman as the Foreign Princess, Brandon Jovanovich as the Prince, and Eric Owens as Rusalka's father, the Water Sprite. The opera premiered at the National Theater in Prague in 1901. The only one of Dvorák's operas to gain an international following (so far), Rusalka is in many ways a definitive example of late Romanticism-containing folklore, evocations of the natural and the supernatural worlds, and even a poignant interpretation of the idea of a love-death. The story has a strong national flavor as well as universal appeal, infused by the Romantic supernaturalism of Friedrich de la Motte Fouqué's novella Undine (previously set as an opera by E.T.A. Hoffmann, Tchaikovsky, and others) and Hans Christian Andersen's The Little Mermaid. Visit Great Performances online at www.pbs.org/gperf for additional information on this and other Great Performances programs. The International Contemporary Ensemble (ICE), returns to the Miller Theatre for "ICE: Animal Behaviors," a free Pop-Up concert on Tuesday, June 6 at 6:00 p.m. ICE members Jacob Greenberg (piano), Nuiko Wadden (harp), Ryan Muncy (saxophone), and Dan Lippel (guitar) will perform a program that re-examines the basic animal nature of each of the featured instruments' personalities, from ferocity to tenderness, and everything in between. The chamber pieces explore how instruments camouflage each other's sound, while the natural and unnatural tendencies of harp, saxophone, and Indian harmonium are highlighted in the solo works. The concert's unique on-stage seating will allow audience members an intimate look into the world premiere of Dai Fujikura's White Rainbow (2016) for Indian harmonium; Drew Baker's Skulls (2016) for guitar and harp; Mikel Kuehn's Entanglements (2016) for harp and guitar; Ann Cleare's luna (the eye that opens the other eye) (2014) for solo saxophone; Suzanne Farrin's Polvere et Ombra (2009) for solo harp; and Alex Mincek's Pendulum III (2009) for saxophone and piano. Also Schnittke: Concerto for Piano and Strings. 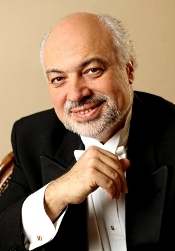 Constantine Orbelian, pianist and conductor; Moscow Chamber Orchestra. Delos DE 3259. This disc prepares you for the unyielding material it contains by declaring on the cover, "Dedicated to Victims of War and Terror." Conductor Constantine Orbelian's grandparents were victims of such injustices in Stalinist Russia before the Second World War, so the program material he selected has special meaning for him. Soviet Russian conductor and violinist Rudolf Barshai transcribed the Chamber Symphony from the String Quartet No. 8 by Soviet composer and pianist Dmitri Shostakovich (1906-1975). 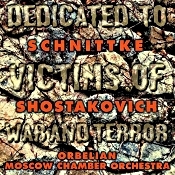 Shostakovich wrote the Quartet in 1960 and dedicated it "To the Memory of Victims of War and Fascism." Today, of course, we may read into it, "victims of war, fascism, and Stalinist Communism." At the time, however, Shostakovich felt very depressed at being forced to join the Communist Party. Some musical historians say that the composer's personal despair is what gives the piece its edge, its pain, and its emotional depth. The outer movements reflect a pensive solemnity and gloom, while the inner movements project an intense fierceness and anxiety. Certainly, Orbelian emphasizes the work's subjective aspects throughout, painting a vivid, harsh, even brutal picture of dark times, unrelieved by any happy or triumphant ending. Following up the Chamber Symphony with Alfred Schnittke's Piano Concerto, performed by Orbelian himself on piano, works as the mitigation we seek after the stormy despondency of Shostakovich. Built as a series of variations that come and go, some of them religious in nature, the Piano Concerto produces the effect of mild spiritual elation and inner questions and answers by its end. The Moscow Chamber Orchestra recorded both pieces on the vast sound stage of Skywalker Ranch in Marin County, CA, March, 2000. 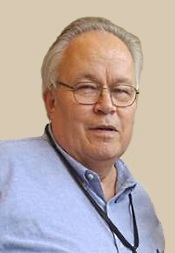 Delos recording engineer John Eargle miked the works for later mastering to discrete surround sound, but he optimized the present recording for Dolby Pro-Logic playback or ordinary two-channel stereo. The sound is quite large, possibly because of the size of the venue, moderately distanced as always from this source, and again only moderately well detailed. At first, the sound appears somewhat dark and muted, but in the Piano Concerto especially, one can hear the notes die away smoothly in the extreme high frequencies. Perhaps it's that there is a degree of density about the sonics that makes everything seem a touch less transparent than it could be. It is not an unrealistic sound, however; in fact, it's the sound one can hear in most auditoriums around the world. It just isn't what we hear too often on disc, and it comes as a pleasant surprise. As far as concerns the surround element, it does not emerge as a serious consideration one way or the other in the two-channel format to which I listened. There is a agreeable ambient bloom that does fair justice to the music. And it is the music that counts. Of its kind, the program is powerful, and Orbelian and his forces play it with urgency. Roberto Moronn Perez, guitar. Reference Recordings Fresh! FR-723. This is, I believe, the third album in a series of Reference Recordings Fresh! 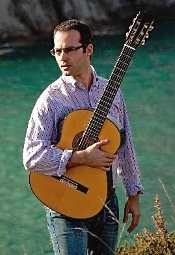 recordings of music dedicated to or commissioned by the virtuoso Spanish guitarist Andres Segovia, the program again performed by guitarist Roberto Moronn Perez. The disc contains selections from seven composers, all of them originally published in the Segovia Archive Series. "If today we can talk about the guitar as a concert instrument, it is undoubtedly thanks to Andres Segovia (1893-1987). His charisma, both as a person and as an artist, was a magnet for composers eager to write music for him, and to give to the guitar a repertoire of the quality available to other classical musicians. Until then, it had been mainly restricted to music written by guitarists themselves." So writes Mr. Perez in a booklet note for the present album. 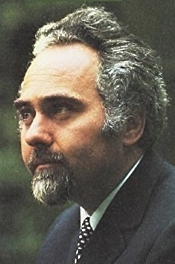 He goes on to say, "My goal in this recording, as it was in my two previous ones, is to put together a high-quality programme of little-known, or in some cases, almost totally neglected gems excluded from the guitar repertoire, and to bring new life to these works, playing with the conviction that this music requires." As I said about Mr. Perez in an earlier review, he does justice to each composer. Perez plays with flair but also with nuance and subtlety. His guitar opens up each work and expands it seemingly beyond the limits of a single instrument. Although you won't find any (or if you are a dedicated classical guitar fan, many) familiar pieces here, if you are like me you will find each work entertaining, touching, or enlivening. The program begins and ends with the Swiss composer Hans Haug (1900-1967), starting with the lighter, showier Etude (Rondo fantastico) and ending with the heavier Passacaglia. The former allows Perez to get things off to a zesty start (and display his dazzling finger work); the latter, a more solemn affair, reminds us just how well the guitarist can shade a piece. Next, we get Sonatina by the English composer Cyril Scott (1879-1970). It's in three movements labeled Adagio quasi introdustione, molto moderato; Allegretto pensoso; and Finale. It's quite lovely, and it offers Perez the opportunity for some wide contrasts in style and tempo. After those, we find Quatre Pieces pour la guitare from a familiar name, English composer Lennox Berkeley (1903-1989). 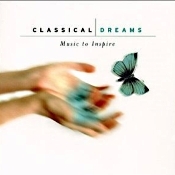 Berkeley titled the pieces Moderato ma con brio, Andante on moto, Lento (Mouvement de Sarabande), and Allegro, energico. They are delightful, introspective, tender, and lively by turns. Following the Berkeley numbers we have Sonata in mi by the Italian composer Ettore Desderi (1892-1974). The four movements are Preludio, Arioso, Scherzo, and Toccata. Perez plays the work just as I would imagine Desderi intended: in a simple, straightforward, disciplined manner, the music all the more appealing for the approach. The Scherzo is especially charming, the Toccata imposing. Then there is a single piece each from the Swiss composer Aloys Fornerod (1890-1965): Prelude; and the only female represented on the disc, the Swiss composer Fernande Peyrot (1888-1978): Theme et variations. Perez performs them with style and refinement. Producer, engineer, and editor John Taylor recorded the album at Holy Trinity Church, Weston, Hertfordshire, UK in October 2015. As with the previous albums in the series, Keith O. Johnson of Reference Recordings did the final mastering. Taylor recorded Perez and his guitar at just the right distance to capture a realistic presence, with a slight reverberation and a mildly warm flavor. Detailing is not as crystal clear as it might be with a more close-up miking arrangement, but everything sounds rich and lifelike. In the first half of 2017, Three Way, The Summer King, and Independence Eve have joined the list of operas that were developed in AOP's "Composers & the Voice" training program and continued on to a fully-staged world premiere. 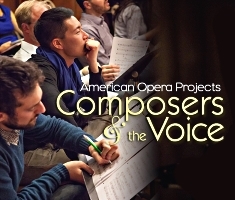 Since launching in 2002, "Composers & the Voice" has fostered the development of 54 composers & librettists who were awarded fellowships to learn the fundamentals of writing for the voice and opera stage. On May 30 at 7PM, DCINY presents acclaimed American pianist Dr. Ian Gindes in an evening performance at Carnegie Hall's Weill Recital Hall, NYC. An officer in the National Guard, Dr. Gindes honors Memorial Day Weekend with a performance of works by Bach, Chopin, Liszt, Copland, and Wild. Dr. Gindes serves as a commissioned officer in the United States Army National Guard. Following in this spirit of service to neighbor and country, he has given highly publicized performances to honor and raise funds for families of soldiers and victims of terrorism and war. His performances of works by American composers, including Copland and Gershwin, in addition to Romantic period masters, such as Schumann, Liszt, and Chopin, are inspired by his service. In 2018 Ravinia will launch a two-season centennial tribute to one of the all-time legends of American music, conductor/composer Leonard Bernstein, and in 2019 will open the Ravinia Music Box experience center with an exhibit of important mementos from Bernstein's life and storied career, including his personal piano. "There aren't enough hyphens to string together all of Bernstein's titles and accomplishments, and Ravinia is hoping to present a well-rounded remembrance of both the common man and the superstar artist who shaped so much of our musical tastes and understanding," Ravinia President and CEO Welz Kauffman said. "Of course, there's the Laureate Conductor of the New York Philharmonic and the Israel Philharmonic and the genius behind West Side Story, but there's also the iconoclast, the man who defended melody in era that was atonal in so many ways, and the charismatic leader at home at the glitziest parties and in the grittiest political movements. He lived life large, and his legacy merits global celebration." Central to Ravinia's celebration will be the two-year appointment of Marin Alsop—one of Bernstein's final protégés—as the first musical "curator" in the festival's 113-year history. Ravinia introduced Chicago audiences to Alsop between 2002 and 2005 when she led the Chicago Symphony Orchestra in works by Rachmaninoff, Shostakovich, and Corigliano, as well as excerpts from John Adams's Nixon in China. The Chicago Tribune said, "Like her famous mentor, Leonard Bernstein, Alsop can be a dervish on the podium when the music is fast, busy, and highly charged. But she is her own musician in terms of considered emotional response and the way she conveys intensity of feeling to her players." California Symphony and Music Director Donato Cabrera celebrate the Orchestra's 30th anniversary with Symphony Surround, a special event and fundraiser Saturday, June 17, 2017 at the Blackhawk Auto Museum in Danville, California, with guest violinist Anne Akiko Meyers, who returns to perform with California Symphony for the first time since 2007. Meyers and the Orchestra will perform arrayed in a special configuration for this event, surrounding the guests seated on stage. The proceeds from Symphony Surround benefit the Orchestra's nationally-recognized education programs, including Sound Minds, Music in the Schools, and its Young American Composer-in-Residence program. The Blackhawk Auto Museum will provide the unique environment for Symphony Surround, with pre-performance cocktails, hors d'oeuvres, and a three-course dinner catered by Scott's Restaurant (purchased separately), with an opportunity before the performance to admire privately-owned, one-of-a-kind classic cars and to bid on items in a silent auction to benefit the Orchestra's education programs. Dinner guests enjoy preferred seating on stage among the orchestra musicians for the three-course meal and performance with Meyers, valet parking, a welcome cocktail with Music Director Donato Cabrera, unlimited wine during dinner and a hosted bar all evening, special photo opportunities with musicians and the classic cars following the show, and early access to bid on auction items. Doors open at 5:30 pm to all cocktail/performance ticket holders, who will have traditional theater-style seating. A live auction will also take place during the event. Tickets are $135 for cocktail/performance tickets, $500 for dinner/performance tickets, and from $5,000 to $30,000 to sponsor tables (limited availability). Tickets are available by calling 925-280-2490 or at www.californiasymphony.org/surround. The Music Institute of Chicago is thrilled to announce that the Commission on Presidential Scholars has named Andrew Guo, a piano student in the Music Institute's prestigious Academy for gifted pre-college musicians, a U.S. Presidential Scholar in the Arts. Guo is one of 20 YoungArts Winners from 10 states, representing eight artistic disciplines, to receive this high honor based on artistic achievement, personal characteristics, leadership, and service activities. Guo, 18 years old and a resident of Chicago, has been a Music Institute student since 2003, when he began Suzuki piano with faculty member Kate Nir at age four, and a member of the Academy since 2007. After 16 months of instruction, Nir arranged an audition with esteemed teacher Emilio del Rosario, who had a reputation for developing young talent. After del Rosario retired, Guo moved to the studio of Music Institute and Northwestern University faculty member Alan Chow. He also studies advanced composition with Matthew Hagle, whom Guo believes had a major impact on his winning this honor. Guo has won many national and international awards as a composer, soloist, and chamber musician in his 14 years at the Music Institute, including first place in the Music Teachers National Association Senior Composition Competition for his piece Seven Images. A thousand elementary and middle school children representing the many vibrant cultures that make New York City the most appealingly diverse city in America, will take the stage at Harlem's legendary Apollo Theater on Monday morning, May 15. All of these children participate in the School Choruses program of the Young People's Chorus of New York City. Under the direction of YPC's Associate Artistic Director Elizabeth Núñez, the children demonstrate the value of the arts in education with an exciting showcase of musical stories from countries in North and South America, Europe, Africa, and the Caribbean, based on this year's school curriculum, "The Tales We Tell." The children's performances will be interspersed with dramatic interludes of acting, dancing and poetry by artists from The Classical Theater of Harlem. Monday morning, May 15, at 10:45 a.m. If you would like to attend, please email aduryea@ypc.org or text/call at 718-344-5140. KCETLink Media Group, a leading national independent non-profit public broadcast and digital network, announced today that made-for-TV opera "VIREO: The Spiritual Biography of a Witch's Accuser," composed and conceived by Lisa Bielawa, will make its world broadcast television premiere on Tuesday, June 13 at 8 p.m. ET/PT on both KCET in Southern California and Link TV (DirecTV375 and Dish Network 9410) nationwide. Produced in partnership with Cal State Fullerton's Grand Central Art Center (GCAC), the two-and-a-half-hour broadcast will be a special edition of KCETLink's Emmy award-winning arts and culture series ARTBOUND. In a first for the network, KCETLink will release all 12 of the approximately 15-minute episodes of "VIREO" at once for free, on-demand streaming starting Weds., May 31 at kcet.org/vireo, linktv.org/vireo, and on Apple TV and Roku. "VIREO" is an Artist Residency Project of Grand Central Art Center in Santa Ana, a unit of Cal State Fullerton's College of the Arts shepherded by Director and Chief Curator John Spiak. The new, made-for-TV-and-online opera conceived and composed by Bielawa on a libretto by Erik Ehn and directed by Charles Otte, is unprecedented in that it is being created expressly for release online and on TV. The unique multimedia initiative includes online articles and videos showcasing various facets of the production. VIREO is the winner of the 2015 ASCAP Foundation Deems Taylor/Virgil Thomson Multimedia Award and was recently awarded a prestigious MAP Fund Grant for 2016 through Grand Central Art Center. Music Director Joana Carneiro and Berkeley Symphony today announced its symphonic and chamber music concerts and programs for the 2017-18 season. Program highlights of the Orchestra's 49th season include the world premiere of a new commission by William Gardiner, a cello concerto, with Tessa Seymour as soloist; two West Coast premieres, one by Berkeley Symphony's Music Alive composer-in-residence Anna Clyne, and one by Rene Orth, under the baton of Gemma New, guest conductor; performances of Beethoven's Symphony No. 9, Choral, and Symphony No. 1, and Berlioz's Symphonie Fantastique; a performance of John Adams's Fearful Symmetries, in honor of the composer's 70th birthday; Gordon Getty's cantata Joan of the Bells; Shostakovich's Jazz Suite No. 1; and the return of pianist Conrad Tao as soloist with the Orchestra in Rachmaninoff's Rhapsody on a Theme of Paganini and Liszt's Totentanz. The Orchestra has also announced that it will curate three of the Berkeley Art Museum and Pacific Film Archive's Full series performance events of new and experimental music in the new downtown Berkeley art museum and film archive. The Orchestra also announced the expansion of its successful chamber music series at the Piedmont Center for the Arts. 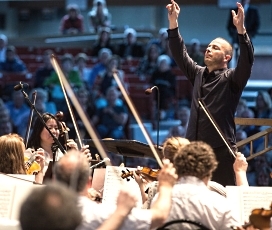 2017-18 season subscription packages for the four Berkeley Symphony Symphonic Series concerts at Zellerbach Hall and the five-concert Chamber Series are on sale now at www.berkeleysymphony.org; by phone at (510) 841-2800; or in person or by mail at 1942 University Avenue, Suite 207, Berkeley, CA 94704. 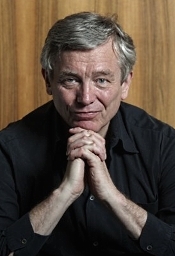 Michael Schonwandt, Danish National Radio Symphony Orchestra. Dacapo Records 8.224156. The late nineteenth, early twentieth-century Danish composer Carl Nielsen (1865-1931) was unusually prolific. He not only wrote six symphonies, he did operas, concertos, chamber music, piano and organ music, and songs. American audiences probably know him best, though, for the two pieces represented on this disc, the Fourth and Fifth Symphonies. Given, then, that the disc presents his most accessible material, that it's performed by a Danish conductor and orchestra, and that it's framed in excellent sound, it amounts to a good buy for listeners who don't already have favorite copies of these items. The Fourth Symphony, known as "The Inextinguishable," is the more Romantic of the pair, the closer to Nature, and, because of its structure, somewhat the more unified. Nielsen wrote the symphony's four movements to flow into one another without interruption, something nicely observed in this recording. And, thanks to the clarity of the soundstage, the various bird calls and animal murmurings come across quite distinctly. Life, according to this music, is "inextinguishable," forever running onward in one great movement in its will to live. 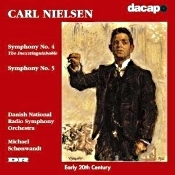 Nielsen premiered the Fourth Symphony on February 1, 1916. It is the Fifth Symphony, however, that is the more provocative of the two works, thanks largely to its first movement snare drums. They tend to march onward to their own beat, perhaps like Nature moving inexorably forward as it had in the composer's Fourth Symphony. But the Fifth, after its quiet opening and increasingly insistent drums, opens up further after its first couple of movements into extremely active and vivacious third, fourth, and fifth movements, leading to a finale that is almost harsh by comparison to the composer's earlier work. Maybe it is here that Dacapo's sometimes bright, forward sound is most helpful, not only in illuminating orchestral detail but in making a case for the composer's intentions in showing how Nature can unfold into pure energy. Whatever the case, Maestro Schonwandt and his Danish National Radio Symphony Orchestra maintain a firm grip on the goings on and deliver some fine music making. While one could perhaps fault the conductor a bit for not entirely capturing the sheer rigorousness of Nielsen's scores, he produces a more than adequate if somewhat measured glimpse into Nielsen's visions of Nature. Does Schonwandt's recording eclipse Herbert Blomstedt's more refined San Francisco account of this same coupling on Decca or Sakari Oramo's more vigorous Stockholm interpretation on BIS? I think not, but it's close. Incidentally, I see what appears to be the same recording now issued by Naxos, so that, too, may be an alternative choice if the spirit moves you. Jonas Kaufmann; Jonathan Nott, Vienna Philharmonic. Sony Classical 88985389832. When Mahler completed Das Lied von der Erde ("The Song of the Earth") in 1909, he intended it for two voices--tenor and alto--and orchestra, the singers alternating the solo parts in the work's six sections. He also suggested that if an alto were unavailable, one could substitute a baritone. 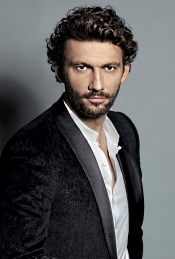 He did not, however, intend for one singer alone to take both parts, as Jonas Kaufmann does here. So, why is Kaufmann singing both parts? Probably because if you're the most-popular operatic singer in the world, you can. No harm done. If you enjoy Mr. Kaufmann's voice, as his legion of fans do, you get a double helping of it. And he has enough vocal range to accommodate both parts. Maybe in his next recording he'll do all the voices, including the chorus, of Mahler's "Symphony of a Thousand." Anyway, I would venture that every classical music buff knows why Austrian composer and conductor Gustav Mahler (1860-1911) titled what would have been his ninth symphony Das Lied von der Erde. Yes, he was superstitious. He knew that no major composer since Beethoven had written past a ninth symphony, so he figured he would get away with it by simply not calling it a Ninth Symphony. He would shortly go on to write an actual numbered Symphony No. 9, anyway, and it would, indeed, be his last completed work. Kind of eerie, when you think of it. A little history: By the early twentieth century Mahler found himself beset by tragedy. He lost his post at the Vienna Court Opera, his daughter died, and his doctor diagnosed him with an incurable heart problem. It was about this time that he read Hans Bethge's Die chinesische Flöte, a book of Chinese poetry translated into German. The composer fell in love with the idea of the transient quality of earthly beauty presented in the verses and decided to set some of the poems to music as Das Lied von der Erde. The English translations of the six sections are "The Drinking Song of Earth's Sorrow," The Solitary One in Autumn," "Youth," "Beauty," "The Drunkard in Spring," and "The Farewell." Certainly, one cannot grumble about the caliber of forces involved in the present recording. Jonathan Nott is a world-class conductor, the Vienna Philharmonic is one of the world's finest orchestras, and among the general public Jonas Kaufmann is possibly the most recognizable name in the operatic field. What could possibly go wrong? Well, nothing, really. The production is first-class, with a good recording, fabulous orchestral playing, and decent work from Kaufmann and Nott. The question, nevertheless, is just why anybody other than a devoted Kaufmann fan or a Mahler completist should buy the recording. Here, things get a little dicey, considering the number of excellent recordings already available, many of them more imaginative, more beautiful, more interpretatively individual than this rather straightforward one from Kaufmann and Nott. Consider, for example, the stereo recordings from Otto Klemperer and the Philharmonia Orchestra on EMI, Bernard Haitink and the Concertgebouw Orchestra on Philips, Bruno Walter and the New York Philharmonic on Sony (Walter had conducted the work's premiere way back in 1911), and Fritz Reiner and the Chicago Symphony on RCA, among many other distinctive renditions. By comparison with these others, Kaufmann and Nott seem more than a tad undistinguished. Again, nothing seriously bad; just not overwhelmingly great. 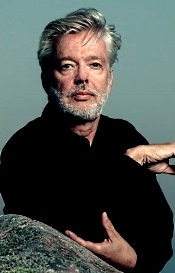 Kaufmann says in a booklet note that the mid-Sixties recording by Klemperer, Fritz Wunderlich, and Christa Ludwig inspired him to want to sing the tenor part in the first place. His reasons for wanting to sing both parts are a little less clear. Since I had the Klemperer recording on the shelf, I took it down for comparison purposes. Two things in the comparison became clear almost at once. First, there's the contrast between the singing of the two parts. Wunderlich and Ludwig make a wonderful complementary duo in their separate parts, whereas the distinctions between Kaufmann's voice in the same sections don't seem as pronounced. Second, Wunderlich's voice is smoother and more mellifluous than Kaufmann's, whose voice is very slightly huskier. These differences don't make one performance better than the other, however, just different. Individual preference will decide which performance a person would rather listen to. For me, it was Wunderlich and Ludwig. Moving on. It seems to my ear that Kaufmann does best in his natural tenor range. The baritone vocals appear more mundane, the voice a bit less flexible and less expressive. In any case, he brings an appropriate joy and vigor to the "Drinking," "Youth," and "Drunkard" segments and does at least passably well in the lower registers of the "Solitary," "Beauty," and "Farewell" movements. In all, this is an agreeable entry in the field. I still wonder, though, how much we actually need it. Producer Christopher Alder and engineer Philip Krause made the recording at the Golden Hall of the Vienna Musikverein in June 2016. The sound they obtained appears nicely balanced, the soloists well placed, the stereo spread wide but not excessively so. Detailing is more than adequate, with a modicum of warmth and a highly attractive ambient bloom. Highs are a tad shrill at times, but it is not serious and many playback systems might not even reveal it. It's fairly natural, enjoyable sound. 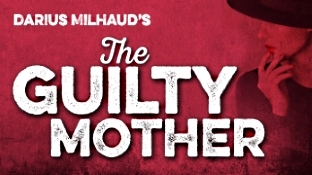 Known for staging "the ultimate in intimate productions" (The New York Times), On Site Opera (OSO) presents the U.S. premiere and new site-specific production of Darius Milhaud's La mère coupable (The Guilty Mother), June 20 & 20-24, 2017, at The Garage, NYC. For the premiere, OSO partners with the Darius Milhaud Society and the award-winning International Contemporary Ensemble (ICE). The site-specific production celebrates the 125th birthday of Milhaud and is dedicated to Katharine Warne, composer and founder of the Darius Milhaud Society. La mère coupable also marks the completion of OSO's three-year Figaro Project, in which the company is staging lesser-known operatic adaptations of French playwright Beaumarchais' (1732-1799) famed trilogy of Figaro plays. Audiences will enter The Garage, and walk into the quickly-declining world of the Almaviva family. The raw and cavernous space will echo the isolation and broken qualities of the characters as we now find them. Audiences will observe the narrative from two different locations with the venue, and will always be surrounded by the characters as they continually inhabit the space. 611 West 50th Street (Between 11th & 12th Avenues), NYC. Matthew Halls recently led the Dallas Symphony Orchestra in a fresh and vibrant "nature" program of Vivaldi and Beethoven. Now, he's ready for more. Music Director Jeffrey Thomas conducts five leading Handelian vocalists in Handel's early Italian oratorio La Rsurrrezione. New Century Chamber Orchestra announces its 2017-2018 (Sept. - May) season including four subscription weeks in venues across the San Francisco Bay Area. British violinist Daniel Hope launches his first season with New Century as Artistic Partner with the World Premiere of Alan Fletcher's Violin Concerto, co-commissioned with the Zürich Chamber Orchestra, and an all-Mozart birthday celebration that features two debut appearances by pianists Menahem Pressler and Sebastian Knauer. Leading the remaining season performances is Indianapolis concertmaster Zachary DePue, who joins forces with pianist Simone Dinnerstein. Subscriptions to the New Century Chamber Orchestra are on sale now. Three and four concert subscriptions range from $78 to $220 and can be purchased by calling (415) 357-1111, ext. 305, or visiting www.ncco.org. Single tickets range in price from $29 to $61 and will go on sale August 1, 2017 through City Box Office: www.cityboxoffice.com and (415) 392-4400. Discounted $10 single tickets are available for students with a valid ID. The NoHo/East Village based Sheen Center for Thought and Culture presents its concluding concert of its Spring Concert Series curated by Marc Kaplan of SubCulture, exploring the gamut of chamber music from classical to the contemporary eras. On June 5, Gregg Kallor rounds out the season with the world premiere performance of his piano quintet, performed by the composer and the acclaimed Attacca Quartet. Bringing together over 1,000 young choristers from 16 schools, the Young People's Chorus of New York City (YPC) presents its annual, year-end concert for the citywide YPC School Choruses Program, staging this year's performance at Harlem's legendary Apollo Theater on Monday, May 15, at 10:45 a.m. The program is directed year-round by YPC Associate Artistic Director Elizabeth Núñez, and the upcoming concert showcases the musical growth of its participants—New York City public school students—over the course of the school year, during which YPC-trained music educators teach them how to read and write music, sing with healthy vocal technique, and perform as a group. The concert program, The Tales We Tell, celebrates the diversity of New York City with songs from the Americas, Africa, and Europe interspersed with acting, dancing, and poetry by artists from The Classical Theatre of Harlem. YPC Assistant Conductors and Conducting Fellows lead the musical performances. Tickets priced at $10 are available tomorrow (Wednesday, May 3) at 12:00 p.m., via the Apollo Theater Box Office, Web site (https://www.apollotheater.org/), or Ticketmaster (https://www1.ticketmaster.com/event/000052A2DA91A1D7). In a last-minute substitution somewhat reminiscent of an earlier landmark in his young conducting career, Robert Trevino last week flew in to replace an ailing colleague at the NDR Radio Philharmonic Hannover. The highly-sought-after young American conductor made a great impression conducting the orchestra in Shostakovich's Cello Concerto No 2 and Bruckner's Third Symphony. Robert Trevino, shortly to take up the reins as the new Music Director of the Basque National Orchestra, started his career, with his mentor David Zinman, as an Aspen Conducting Fellow where he won the James Conlon Prize for Excellence in Conducting. The Wallis Annenberg Center for the Performing Arts (The Wallis, Beverly Hills, CA) announced today the 2017/18 season, which features 250 performances delivering groundbreaking produced and presented works in dance, music and theater from locally, nationally and internationally renowned artists and companies. The 2017/18 season, beginning October 8, 2017, marks the second year of programming under the leadership of Artistic Director Paul Crewes, Managing Director Rachel Fine and Board Chairman David C. Bohnett, and the fifth for the institution. "The range and accessibility of our programming—that showcases local, national, and international artists bringing wonderful stories and remarkable performances to our stages—strive to attract and reflect the diversity that encompasses us in Los Angeles," said The Wallis's Artistic Director Paul Crewes. "The Wallis is a home for artists and audiences alike who want to explore, celebrate and embrace creativity, and I am extremely proud of the works that we are producing and presenting in the new 2017/2018 season." Artis-Naples named three new Naples Philharmonic musicians effective in the 2017-18 season. Ryan Little will become principal horn. Jane Mitchell will become the associate principal viola. Hui-Ying Ma will join as section violin. "These musicians represent our continued commitment to artistic excellence under the leadership of music director, Andrey Boreyko," said Kathleen van Bergen, CEO and President. "We are entering an exciting time for our organization and one of the keys to our success is the strength of the orchestra." Added Boreyko: "I am thrilled to begin working with these wonderful musicians as we start the 2017-18 season. Beyond their musical talent, they represent the continued growth in the size and capabilities of the Naples Philharmonic." More than 300 musicians participated in the international search, with approximately 150 traveling to Naples to audition in Hayes Hall for the positions in March and April. The three will begin their work with the Naples Philharmonic at the start of the 2017-18 season in September. The appointments grow the size of the orchestra by two full-time musicians. The Naples Philharmonic has long been recognized as one of the cornerstones of Southwest Florida's arts community. As the resident orchestra of Artis-Naples, the Naples Philharmonic performs more than 140 orchestral and chamber music concerts, as well as opera and ballet, education, community and special event concerts annually between September and June in the 1,477-seat Hayes Hall, the 283-seat Daniels Pavilion and around the Southwest Florida region. The Crypt Sessions Season 2 continues on May 31, 2017 with special preview of the new Gothic murder mystery chamber opera Elizabeth Cree by the Pulitzer Prize-winning team of composer Kevin Puts and librettist Mark Campbell, which will receive its world premiere September 14-23, 2017, as part of Opera Philadelphia's inaugural fall festival, O17. The opera is based on the novel The Trial of Elizabeth Cree by Peter Ackroyd, and is co-commissioned and co-produced by Opera Philadelphia and Hackney Empire and co-produced with Chicago Opera Theater. With Puts accompanying at the piano, the evening will feature mezzo-soprano Daniela Mack, who will create the title role of Elizabeth Cree, and tenor Joseph Gaines, who will play Music Hall star Dan Leno. In addition to a special sneak preview of the music from the opera, Mack and Gaines will also perform songs by Benjamin Britten, Francis Poulenc and Henry Purcell. May 14, 5pm: International House, 500 Riverside Dr. The San Francisco Girls Chorus (SFGC) concludes its 2016-2017 on Sunday, June 4, 4pm at Herbst Theatre in collaboration with New York's Trinity Youth Chorus. Making their West Coast debut, the Trinity Youth Chorus from Trinity Wall Street in Manhattan will share the stage with SFGC for the U.S. Premiere of Song of Seals by Canadian composer and SFGC alumna Emily Doolittle. The program, titled "Mystics and Ecstatics," will also feature Vivaldi's Gloria, recently performed by SFGC at the SHIFT Festival at the Kennedy Center in April 2017, and John Tavener's Hymns of Paradise. Tickets start at $26 and are available through City Box Office. Single tickets range in price from $26 to $36 and can be purchased through City Box Office: http://www.cityboxoffice.com and (415) 392-4400. Discounted $18 single tickets are available to students.